Isn't it nice to wear something that would help you shout to the world who makes your heart beat fast? 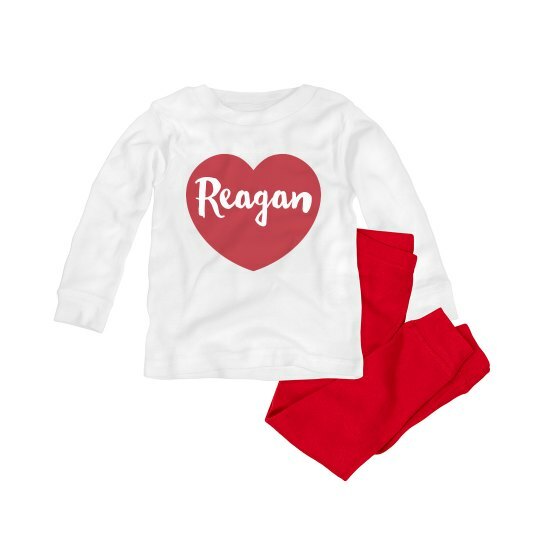 Have your baby's lovely name on this cutie Valentine PJs and fall in love with them again and again! You can customize it by changing the fonts of your choice as well!